Playwrights' Theatre at Boston University and Dominic D'Andrea of The One-Minute Play Festival will join to present the very first Boston One-Minute Play Festival. Featuring more than 70 new one-minute plays, the festival will take place at Boston Playwrights' Theatre, 949 Commonwealth Avenue in Boston from January 7 - 9. Playwrights have been partnered with local actors and directors to present these rapid-fire one-minute plays over the course of three nights in January. All of Playwrights’ Theatre’s proceeds will go directly to support BPT’s Black Box Fellowships, a program dedicated to providing playwrights, actors and directors free rehearsal and performance space to develop new works. Playwrights for the Festival include: Rosanna Yamagiwa Alfaro, Michael Bradford, Barbara Blumenthal-Ehrlich, Elisabeth Burdick, Joe Byers, William Donnelly, Christine Evans, Will Fancher, Stephen Faria, Peter M. Floyd, Patrick Gabridge, Deirdre Girard, Kristen Greenidge, Michael Hammond, Anna Renee Hansen, Gregory Hischak, Israel Horowitz, Heather Houston, Colleen Hughes, Dan Hunter, Emily Kaye Lazzaro, Christopher Lockheardt, K. Alexa Mavromatis, Matt Mayerchak, Walt McGough, James McLindon, Mwalim, Natalia Naman, Jack Neary, Ronan Noone, Rick Park, March Schrader, John Shea, Donna Sorbello, and John Zakrosky Jr., among others. The plays will be directed by Steven Bogart, Ben Evett, Megan Gleeson, Jason Jones King, M. Bevin O'Gara and Summer L. Williams. 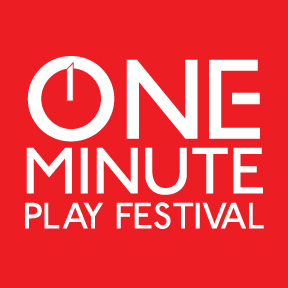 The One-Minute Play Festival (OMPF) is an NYC-based theatre company, founded by director/dramaturg Dominic D’Andrea, working in partnership with institutional theatres and collectives across the country who share playwright or community-specific missions. In addition to Boston this season, the One-Minute Play Festival will be partnering with theatres in New York, Los Angeles, San Francisco, New Brunswick, South Florida, Chicago, and Baltimore/Washington DC. Notable OMPF Alumni include: David Henry Hwang, Neil LaBute, Tina Howe, Rajiv Joseph, Kristoffer Diaz, Lisa Loomer, Donald Margulies, Jason Grote, Mike Daisey, Lydia Diamond, Erik Ehn, Michael John Garces, Rachel Axler, Elizabeth Meriwether, Migdalia Cruz, Qui Nguyen, Craig Lucas and Michael Hollinger. For information and tickets, call 866.811.4111 or visit bostonplaywrights.org.